Inge graduated from the Royal Conservatory in the Hague, under the guidance of Edward Witsenburg. She gives concerts with harp and voice and regularly appears on festivals with her electric harps. Inge directs the Blue Planet Harp Ensemble, a young harp orchestra of young students under 21 years. Together with Mariël van den Bos, the first flutist of the Metropole Orchestra, she forms the duo Sphinx. They perform pieces by composers like Debussy, Fauré and Ibert, but also by Gershwin and Jobim. Inge performs with master violinist Ernö Olah, with whom she completed two tours in China with the Malando Tango orchestra. On several occasions Inge has had the honour to perform for the Dutch and Belgian Royal families. Inge composes and publishes harp music. Her harp ensemble pieces ‘Flidias and the Magic Harp’ and ‘Blue Planet’ regularly performed by large groups of harpers from the United States to Australia. The premier of her ‘Whispering Caves’ composition was performed in the Caves of Valkenburg by the Blue Planet Harp Ensemble to the benefit of End Polio Now. She composed the compulsory ‘Melrose suite for Harp’ for the national Rosa Spier Harp Competition in 2018. Harpist and singer Jopie Jonkers and Inge collaborated to develop the harp method ‘Arpa Latina’. Together they perform in the Duo Harp & Voice with Spanish and Latin-American repertoire. The fascinating space of electronic music in combination with harp is being explored with Max Frimout. 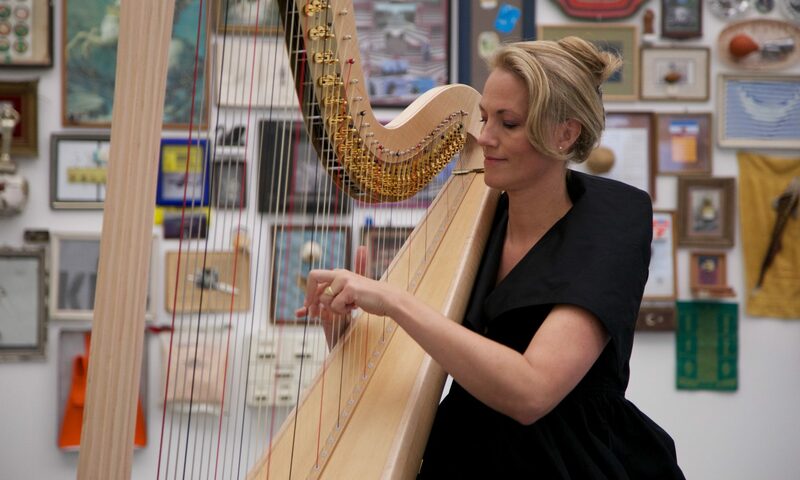 Inge is chairwoman of the ‘Harp Vereniging Nederland’, the harp association of the Netherlands. Frimout Music is the publisher of the harp compositions and arrangements of Inge Frimout-Hei, and of harp colleagues. All projects are published with great care and attention, with a beautiful cover and often with unique illustrations. The music books and CD’s can be ordered on www.frimoutmusic.com. In addition, several quality music book stores carry the range of publications. Harp is a wonderful instrument with many possibilities, from classical to blues. You can make it sound like a waterfall or numerous other exciting sounds. You can learn to read notes with funny songs about Charlotte and her family and pets. You start with easy songs with the right hand only, continuing quickly to play with both hands at the same time. You learn to perform and to compose your own little songs. Inge Frimout-Hei teaches a group of harp students in her own studio in Nuenen, The Netherlands. We have regular practices and performances with the Blue Planet Harp Ensemble. It is a great learning experience to play in a group with other harp students. So far, we have given many performances, including those on the World Harp Congress Amsterdam and in de Caves of Valkenburg, NL. We even made it to Holland’s got Talent and the Jeugdjournaal on the dutch national television. 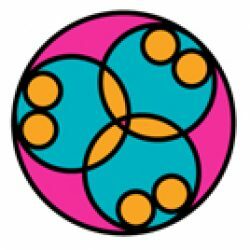 Participation in the ensemble is possible from the first year onwards.